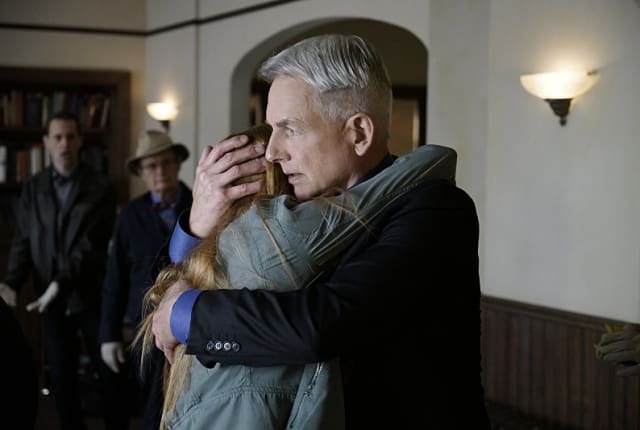 Watch NCIS Season 13 Episode 23 online via TV Fanatic with over 9 options to watch the NCIS S13E23 full episode. Affiliates with free and paid streaming include Amazon, iTunes, Vudu, Netflix, YouTube Purchase, Google Play, CBS All Access, Verizon On Demand, and CBS All Access (Via Amazon Prime). On NCIS Season 13 Episode 23, NCIS along with the FBI and MI6, continue their manhunt for an escaped British spy who has left a colleague fighting for his life. Monroe: Now I want you tell me that one more time. How you won that money at the races. Can you do that? See, you just open your mouth [Monroe gets in close and rubs her hands up his torso] and say "I won that money, fifty grand, betting on the horses." Can you do that for me? Please? Reeves: I can't wait to find out. Kane: I didn't get that fifty grand from betting the horses. Kane: Okay okay, STOP. I'll talk. Reeves: No. You're going to sing. And it better be pretty. Permalink: No. You're going to sing. And it better be pretty.